Online social networks are immensely popular in China. 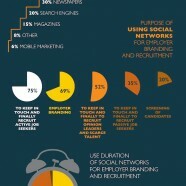 This on-going trend has important windows of opportunities for organizations both for branding and recruiting purposes. A 2011 survey that shows the latest state of online media for business in the far East side.